Escape the heat of summer or cuddle up by the fireplace in winter in the lower-ground level Tasting Room. 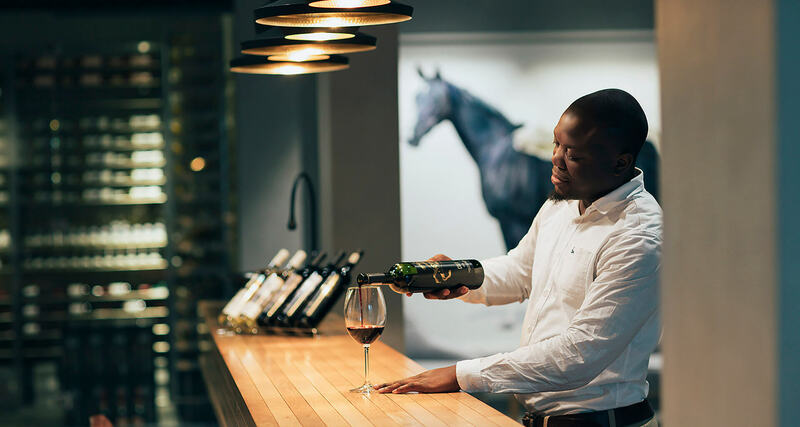 Join us between Wednesday and Sunday from 10am to 6pm to experience the range of Cavalli wines. Browse our current exhibition in our luminescent retail Art gallery situated beside the tasting room for a one of a kind Art and Wine experience. Tasting Fee: R60 for 5 of our premium wines, R40 for 5 of our 'passions' wines.